Android is a popular mobile operating system developed by Google due to its ease of use. When you got a new Android phone or tablet, you need to first sign in Gmail to activate services offered by Google. Without a Gmail (Google account), most of the functions are limited such as app download, data sync, etc.… If you already have a Gmail account, then just type in the right account credentials as needed. 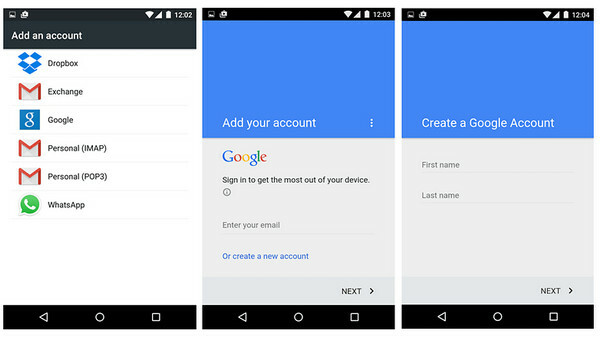 If you didn't have an account, please follow the steps to set up Gmail on Android. Step 1: Go to Settings -> Accounts & Sync. Then tap Add Account and choose Google. Now tap "New" on the page to add a Google Account. Step 2: Type the name and tap "Next". Input email and user name, which then becomes your Gmail address. Tap "Next" and your phone will connect to the network to see if the e-mail address is OK. Step 3: Tap the password field and enter a password for the account. Re-enter the password for confirmation. Tap "Next" and input a recovery email for this Gmail account. Step 4: Tap "Next" where you can Join Google+ or touch "Not now". Then agree to Google Terms of service. Now you have a Gmail account. The phone will now communicate with Google servers and set up your account (this may take up to 5 minutes). In addition, you will have the option to enable purchases and other things to complete the profile. At end, choose backup and restore option by selecting the check box and tap "accept Google Terms of service". After this, your Gmail account is active now. It will take much more time to create a Gmail account on Android phone because it is much harder to type on a small device. Actually, you can create a Gmail account on a computer. Then sign in Gmail on Android. After this, you can use all the Google services on the device. Step 1: Type Gmail.com on your web browser. Step 2: Click "Create an account" and input all the necessary information on the sign up page. Please write down the Gmail address and password in case you forget it. Step 3: Set a recovery email address and enter a phone number. Click "Next Step" and you will get a message containing the confirmation code. Type the code in the box and your account creation is completed. 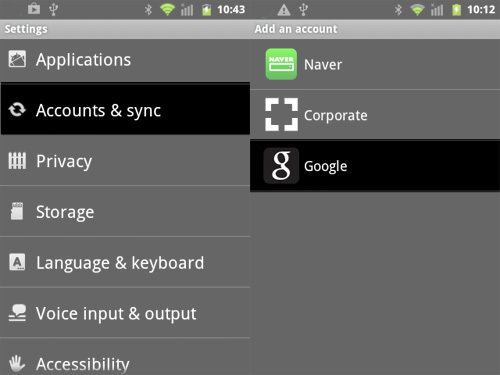 Step 4: Go to Settings -> Add account on Android phone. Input the Gmail address and password you just created. Now you just successfully set up Gmail on your device.